The MBOX to PST Converter software enables users to create collections for better case management. This feature helps to import different file formats and export them as per requirement and the entire process is stored for future reference. This is a useful feature as managing a case is one of the most of difficult tasks while converting MBOX files to PST format. The application to transfer MBOX to Outlook PST helps users to save their time by searching the files in their hard drive. If the users don’t know the exact location where the MBOX files are stored, then they can simply use the find feature to locate the file in the selected drive. 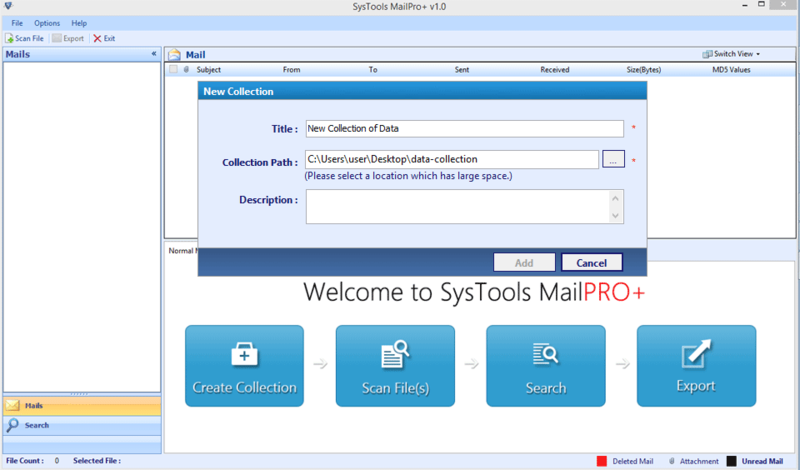 This MBOX to PST Conversion tool provides option to read all the email messages stored inside the main folder and its sub-folders. This option makes it easy to view emails which are available in the nested folder structure in just a single click. Using this software to migrate MBOX file to Outlook PST format, the users can preview data stored within the MBOX files in 9 different modes. The various view modes available includes Normal Mail View, Message Header View, Hex View, MIME View, HTML View and much more. If a user is having duplicate emails in the MBOX file then this feature is helpful for them. The MBOX to PST converter allows users to remove duplicate emails from MBOX file in just a few clicks. The MBOX to Outlook Conversion Software allows users to implement the advanced search filters by using the 10+ parameters. These parameters proves to be really helpful if a user wants to search for the crucial information from the email messages. This includes To, From, Importance, Subject, Sent Date, etc. Users can transfer MBOX to PST and several file formats using this migration tool. It also provides option to export bulk emails or selective as per user requirement. The multiple export options include PST, MSG, EML, TIFF, CSV and some other formats. Users can choose any of the destination format to export MBOX data file. The software to export MBOX file to PST format enables users to customize the export options according to their needs. There are several naming options available for the users to choose from such as Subject, Subject + Date and much more. 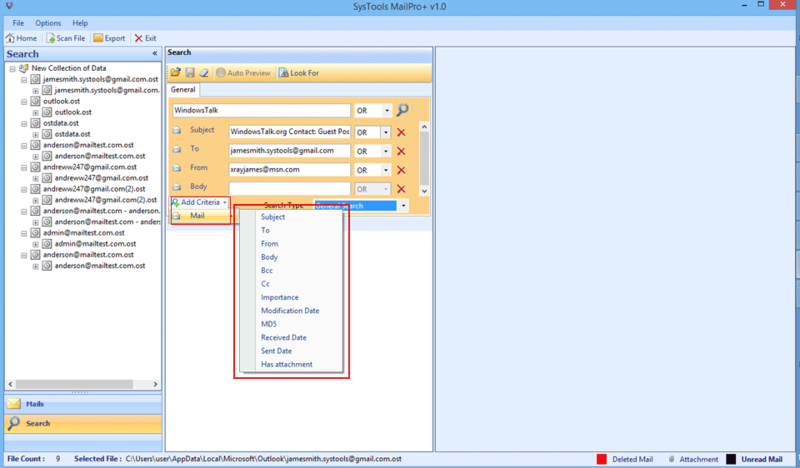 Additionally, there is an option to transfer MBOX to Outlook while maintaining the folder hierarchy of the data. A short time ago, Mr. Jack had an issue when he had a requirement to transfer MBOX files to PST file format. In their organization, they use for email communication which uses MBOX files to store all the mailbox data. But, now they are looking to switch their email communication to Microsoft Outlook which uses PST as a repository. Due to the tremendous popularity of MS Outlook, a large number of users are moving their data to the email client. As PST file has the size limitation of up to 50GB in Outlook 2013 and 2016 versions of it. It becomes easier for the users and employees to store a large amount of data in a single file and another reason why Mr. Jack opted to migrate MBOX to PST is that it offers better manageability of data as compared to MBOX files. So, the problem which created a havoc for Mr. Jack was that the MBOX file cannot be directly imported into MS Outlook and the manual solutions are not so reliable. Performing the conversion process using manual method can cause data loss which cannot be compromised. So, he wanted a trusted solution using which he could transfer his entire data in a reliable and efficient way. Mr. Jack was so amazed after he saw the results of the tool. The application worked so smoothly and efficiently that the whole migration process completed in small time span and that too without any data loss. FinancesOnline has rated 8.0 out of 10 to this tool to transfer MBOX files to Outlook 2010, 2013, 2016. It is one of the best conversion software to read, search & convert emails from several email applications. 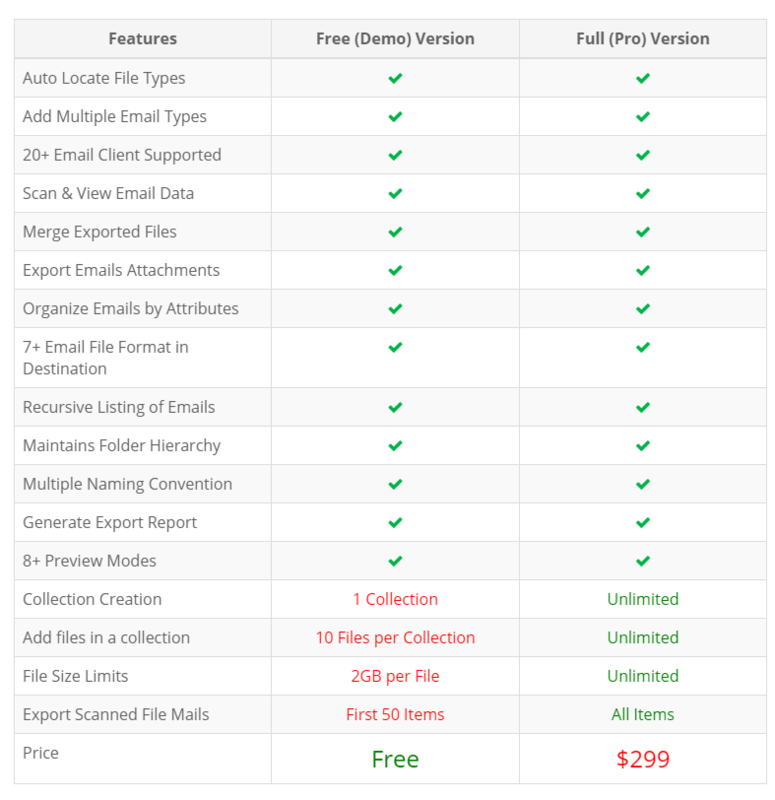 The utility also permits users to export the emails into 7 file types in a batch. 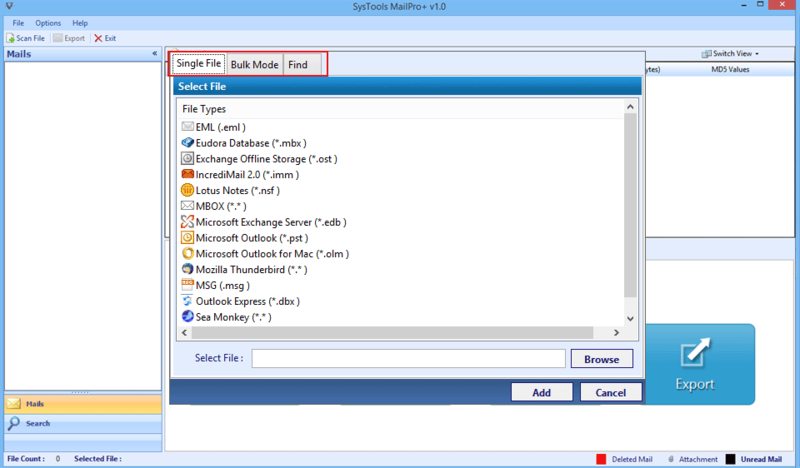 How to Import MBOX to Outlook 2016, 2013, 2010, 2007? I have an Inbox.mbox file that is of 2.8 GB. Will the software process it? Yes, the MBOX file to PST Converter is tried and tested on all MBOX files of large size. So, if you have a MBOX file of 2.8 GB, the software will convert it to PST successfully. Can I access the export PST file in Outlook 2016? Yes, the MBOX to PST file conversion software is developed using advanced algorithms and it can easily export the mailbox data into Outlook 2016 accessible file format. Will I get ANSI or Unicode PST after conversion? The MBOX file to PST Conversion Software by default creates a Unicode PST file. So, no matter how large the file size is, the software will save its contents into Unicode PST file by default. Does the tool supports bulk migration of MBOX file to PST format? Yes, using this converter, you can easily import MBOX files to Outlook 2016, 2013, 2010 or 2007 in batch which makes it the best MBOX to PST converter as it saves a lot of time by adding multiple MBOX files at one time. Will this software automatically remove duplicates from selected MBOX files? It is an optional feature in the application. If you want to import MBOX file to PST excluding the duplicates then you can enable the checkbox adjacent to "Exclude Duplicates" while performing conversion. MBOX is the file format supported by many email clients. Recently, when I switched over to a preferable email client such as Outlook. I wanted to access data of my previous email client so, I need to convert it to PST format so that it can be viewed in my current email application. To accomplish this, I chose MBOX File to PST Converter. I first used the free demo version of software and then purchased the licensed version of it. I have been using Apple Mail on my Mac machine from last four years. But due to some reasons, I switched to Windows laptop and I wanted to migrate MBOX emails to Outlook format. Thanks to the very active support team who suggested me MBOX to PST converter for the same. A true help!